In the midst of peace talks, sworn enemies Ian Paisley and Martin McGuinness are forced to share a trip together. How often in history do we find two lifelong, intractable enemies, putting aside their virulent animosity and working together peacefully for the general good of the majority? It’s a rare enough occurrence to have a movie made about it. 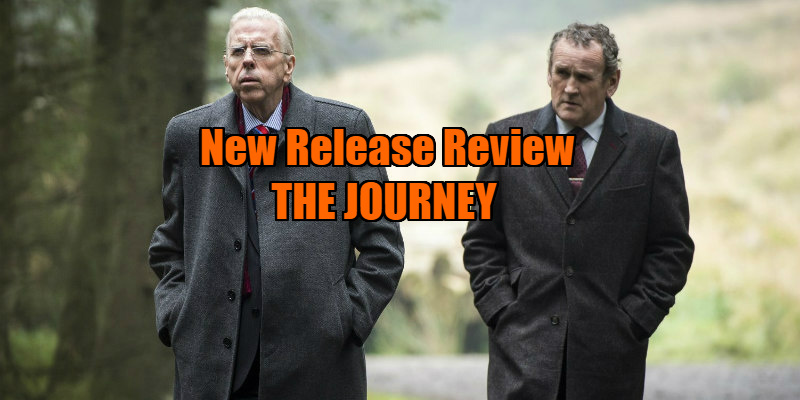 The Journey, director Nick Hamm's fictionalised dramatisation of events behind the Northern Ireland peace-process, offers ‘national treasure’ Timothy Spall the opportunity for another impressive turn, this time substituting his natural cockney accent for the strident, blustering Northern Irish tones of Protestant Unionist Party leader and firebrand, Ian Paisley. He is ably paired with Colm Meaney as his lifelong adversary, Sinn Féin politician and former Provisional Irish Republican Army leader, Martin McGuinness. The question the film sets out to answer is; how was it possible that two mortal enemies, Paisley and McGuinness, found a way of making peace and ultimately working together in service of their country in such surprising amity? Like director Hamm, screenwriter Colin Bateman has worked mainly in television (Wild About Harry in 2000, was his last feature-film credit). Bateman takes the real-life St Andrews summit — held at the Scottish golf resort in October 2006 — as his starting point. Gathered there for talks designed to regulate the devolution of power to the Northern Irish parliament at Stormont, were the then British prime minister, Tony Blair (Toby Stephens), Irish Taoiseach Bertie Ahern (Mark Lambert), all the major parties of the region, and a brace of security and intelligence personnel, including veteran MI5 boss Harry Patterson (John Hurt, in one of his last roles). The Journey then creates a fictionalised scenario: - half-way though the negotiations the weather takes a turn for the worse and a storm closes Glasgow airport. The Rev Paisley however, insists on heading back to Belfast for his Golden Wedding Anniversary party. According to protocol, to balance absences from the negotiation teams, his Catholic opposite number, Martin McGuinness, must travel alongside him and share the 50-mile drive to Edinburgh airport and the private jet flight to Belfast. The two men are apparently unaware that their chatty young Scots chauffeur (Freddie Highmore) is in fact a British agent in secret communication with MI5 man Patterson back at St Andrews, who is following the trip via a hidden camera. Patterson intends to ‘manage’ the journey, hoping to create an opportunity to bring Paisley and McGuinness together in relatively private and informal circumstances. British Prime Minister Tony Blair, under whose auspices the negotiations are taking place, nervously understands how high the stakes are. Toby Stephens has fun creating (ironically so) the oleaginous affability of a politician deeply concerned with the judgment of posterity - “The buck stops with me ... or does it?" he guilefully remarks, and slyly assures both parties taking part in the negotiations, "…and I'm on your side, okay?" The film is commendably fair and balanced on both sides, and far from being a dry political exposition, it manages to convey warmth and even a little humour. Credit must go to the considerable talent of the two lead actors, Spall and Meaney. Colm Meaney plays McGuinness as quick-witted and wiry, tentatively yet cannily attempting to break the ice, aware that he must persuade his stubborn and reactionary old foe to look to the future. Embracing the practical, McGuinness has his eyes set on the ‘long game’. Old wounds are opened and tempers flare - McGuinness has an emotional speech about his personal anguish over Enniskillen and the script momentarily fools us into thinking that perhaps Paisley has succumbed to some kind of sympathy. But there is little forgiveness to be found on either side. 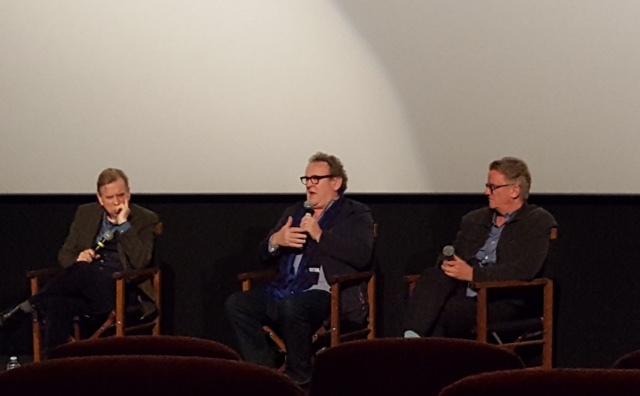 There was much praise for Timothy Spall’s portrayal of Paisley from Meaney, director Hamm and Irish members of the audience during the subsequent Q&A session at the London screening this reviewer attended. He is an actor who has the ability to ‘disappear into’ a role. A final pit-stop at a gas station finally gives him a chance to go full-flow into a typical Paisley-esque volley of biblical invective. His interpretation of the man sports a permanently stubborn grimace, which is eventually sparingly goaded into a roguish, yet still terrifying, grin. The Journey may perhaps be accused of simplifying and condensing the complex and controversial political history which in May 2007, finally led the former sworn enemies to become First Minister and Deputy First Minister of Northern Ireland. However, the movie is fuelled by stellar performances, which engage by giving us small, hopeful moments, held within flashes of the humanity which unites us all. The Journey is a film which celebrates the sacrifice of political and personal ego, and in our current social climate, can only serve to remind us, that if people with two such entirely opposed viewpoints can cast off their considerable differences in order to find a solution which will bring peace to all, it is a lesson that other leaders are desperately in need of learning. 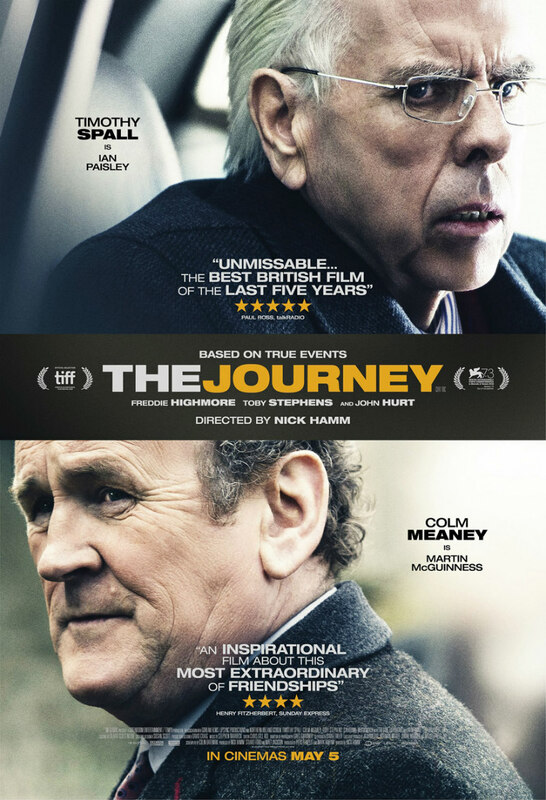 The Journey is in UK/ROI cinemas now.